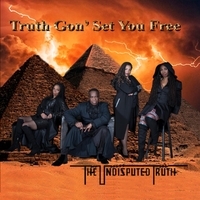 Truth is a slick R&B project infused with clever additions of rock, funk and jazz. Taking listeners on a suspenseful musical journey, from start to finish. The Motown Group that brought you the R&B hit song Smiling Faces Sometimes- Returns with New music, New Members and a daring new album. Joe 'Pep', Brenda J. Evans, Dazee Love and Jaki G, are the Real Undisputed Truth. Harris delivers powerful vocals that are truly timeless while the soulful voices of BJ Evans, Dazee Love and Jaki G solidify this groups socially conscious message, taking listeners on a musical journey through Funk, Jazz, Soul, and R&B, featuring some of Detroit's finest musicians.